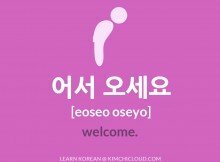 In this lesson, we take a look at how to say “excuse me” or “I’m sorry” in Korean. There are a few words for this and some of them can only be used while apologizing while others can only be used when someone is in your way and you want to get through. 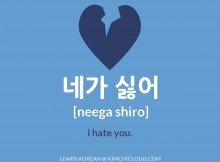 joesonghamnida (죄송합니다) literally translates to “I apologize” and you can use it when you’re actually apologizing to someone as well as to excuse yourself when passing through a crowd of people. Note that, in case you are using it to say “I’m sorry”, you should only use it when you are actually apologizing for something. For example, if someone’s cat died and you use this word, it will sound like you are somehow responsible for the death of their cat. and you’re not sure what form or word to use. 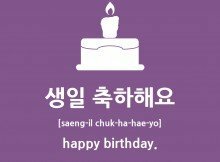 someone older than you that you know well. someone of higher status (boss, teacher, senior etc) that you know well. When you’re busy and want the other person to wait. 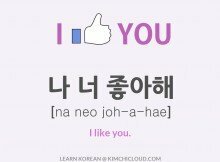 Note that you can drop the “yo” (요) part at the end to make it friendly / informal. 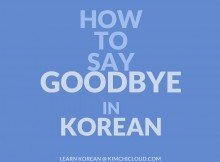 jamkkanmanyo (잠깐만요) is the same as jamshimanyo (잠시만요) and you can use them interchangeably. = Excuse me but, what time is it now? Please like or share if you found this lesson useful. And if you have any questions or something else on your mind, make sure to leave a comment below and we will do our best to help you out! Wow very useful thank you!